AccuBoost would like to commend Scot Ackerman, M.D., for his continual support of outreach and education in the Jacksonville community. 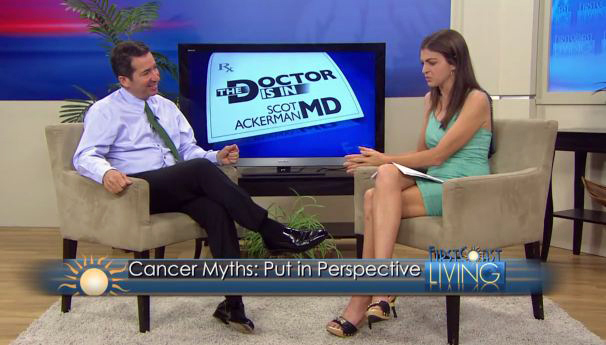 Dr. Ackerman has made it his personal mission to promote cancer awareness and empower the community to take action in their healthcare decisions. 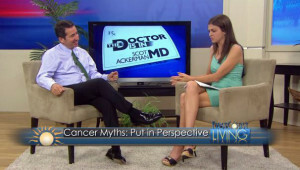 Through community speaking engagements, online videos and weekly television segments, Dr. Ackerman strives to provide invaluable health information for thousands of viewers and their families. Along with his community outreach efforts, Dr. Ackerman is a strong supporter of AccuBoost technology. He was one of the first physicians in the country to incorporate the AccuBoost image-guided breast brachytherapy into his practice. 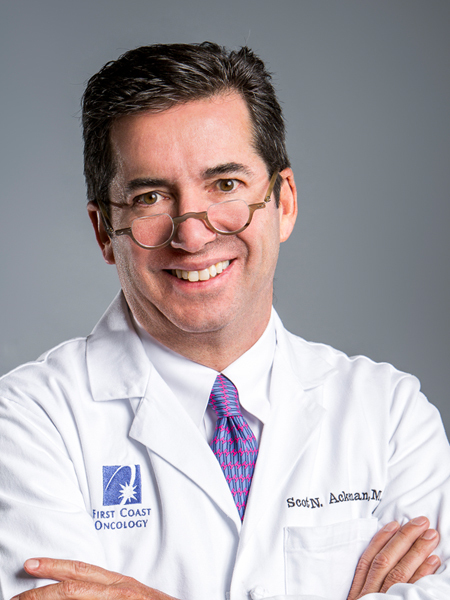 Scot Ackerman, M.D., board-certified in Radiation Oncology, is the Medical Director of First Coast Oncology, which provides radiation therapy at three facilities across Northeast Florida. Dr. Ackerman has also served as the Chief of Radiation Oncology at St. Vincent’s Medical Center, where one of First Coast Oncology’s facilities is located. Among his professional memberships are the American Society of Therapeutic Radiology and Oncology and the Radiological Society of North America. Committed to the community, he is past president of the Jacksonville Jewish Federation and is a member of St. Vincent’s Medical Center’s Foundation Board. Dr. Ackerman earned a BS in Biomedical Engineering from Tulane University, and completed his residency in radiation oncology at Columbia University in New York City.